Early detection, diagnosis and care management for people newly diagnosed with cognitive impairment and dementia reduces outpatient costs by almost 30 percent, according to new research reported today at the Alzheimer’s Association International Conference on Alzheimer’s Disease 2010 (AAICAD 2010) in Honolulu. Dementia is loss of memory and other mental abilities severe enough to interfere with daily life. 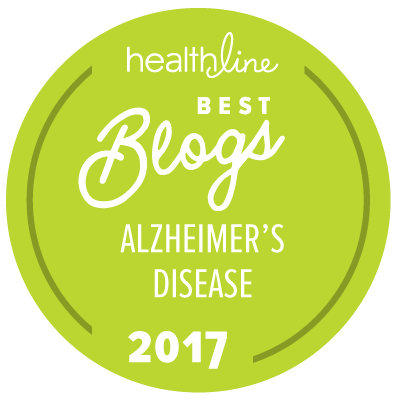 According to the Alzheimer’s Association, dementia is a common, costly, and often unrecognized problem in older adults. In order to provide better medical care and outcomes for people with Alzheimer’s and other dementias, the conditions must first be detected and diagnosed, and needed care management must be provided. Generally, care management in Alzheimer’s provides assistance for people with the disease and their families in finding resources, making decisions, and managing stress. For example, a care manager can help families with decisions about in-home health services, or long-term care whether at home or in a nursing facility. “We see in this study’s findings that early diagnosis and case management in dementia may also significantly lower healthcare costs. This could have a reverberating positive impact throughout the entire healthcare system,” Carrillo said. The Dementia Demonstration Project (DDP) was an interdisciplinary effort led by the Geriatric Research, Education and Clinic Center at the Minneapolis Veterans (VA) Medical Center. Seven VA Medical Centers took part in the project, which was created to increase detection and diagnosis of dementia in primary care and provide information, support, and care coordination for veterans with newly diagnosed dementia. An Advanced Practice Registered Nurse trained in dementia – the Dementia Care Coordinator – led a dementia care team that became part of a primary care clinic in each of the seven VA Medical Centers participating in the project. The DDP added a brief, three-item memory test to regularly scheduled primary care visits for veterans age 70 and older without a diagnosis of Alzheimer’s or another dementia. Among the 8,278 veterans who received the memory test, 26 percent failed. Thirty-four percent of those who failed the test returned for a comprehensive evaluation; 95 percent of that group were diagnosed with cognitive impairment, including 76 percent with dementia. In the DDP clinics, following evaluation, the dementia care team met with the patient and family to review the results, discuss the diagnosis, and outline treatment recommendations. Interventions were targeted to the severity of dementia and the specific needs of the patient and their caregivers. Informational material, assistance in identifying needed services, and direct support and training from team members was provided, as needed. Healthcare costs data for one year before and after diagnosis were available for 347 DDP patients and 1,260 patients from non-DDP clinics in the same VA Medical Centers. Veterans diagnosed in the DDP clinics saw their average outpatient healthcare costs decline by about 29 percent (-$1,991) in the year after diagnosis of cognitive impairment compared with the year before diagnosis. Veterans diagnosed in the non-DDP clinics also saw declines in average outpatient healthcare costs, but not as much (-$406). “In our study, the cost decreases were more dramatic in patients who were identified through cognitive evaluation and who subsequently had case management available by a dementia care team,” said J. Riley McCarten, MD, the project’s lead physician. He added that the cost of the DDP intervention to the VA was captured in the patient care costs reported. “The most important goals of the program were making sure that all family members understood the disease and were on the same page, that patients remained physically active and socially engaged, and that caregivers had the support they needed,” McCarten said.